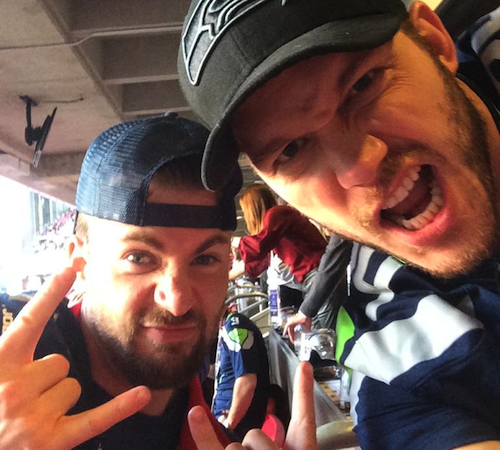 Actors Chris Pratt and Chris Evans, better known as Star-Lord and Captain America in the Marvel Cinematic Universe, recently embarked on a friendly rivalry on Twitter. Who would win this year's Super Bowl between New England Patriots and Seattle Seahawks? The loser promised to attend a children's hospital, of the victor's chosen charity, in costume, help raise awareness and make a donation. Chris Pratt was gracious in defeat, after the New England Patriots beat the Seattle Seahawks, and will be visiting Christopher's Haven. Turns out our intrepid heroes are going one step further and both children's charities will benefit. As someone who spent a lot of time in children's hospital, following a serious head trauma at primary school, I have nothing but the utmost respect for these guys.